I am down in Chicago for the Microsoft Ignite Conference which is turning out to be the largest Microsoft Conference ever, 23,000 attendees. The McCormick Place is on a scale that makes the Vegas Conference centers look tiny in comparison. Being here has rekindled the desire to share more knowledge with the community, so after almost a year since the last posts, it is finally time to start blogging again. I have been involved in the TAP Program for SharePoint 2016 On-Prem and can now talk about the things I’ve been learning there. I have decided to expand the scope of the writing to include some PowerShell, Azure and Office 365 content as well as other technologies. The new content is not up yet as it will start trickling in in the next few months. For now here is one of the best new tidbit of information about SharePoint 2016 I learned at the Ignite conference, and that had not even been announced to the TAP Program yet was Zero-Downtime Updates. The promise here is that the monthly CUs will become smaller – sometimes these have been larger than the initial RTM SharePoint ISOs – and the installation will cause zero downtime to the users. They say the user will not even notice the upgrade is happening. I assume this is stemming from Office 365 and the need to deploy new features without affecting the customer experience. In practice this has not been something available in the TAP Program but this is definitely something I am anxiously waiting to test. Stay tuned for more during the conference (WiFi permitting) and the following months. 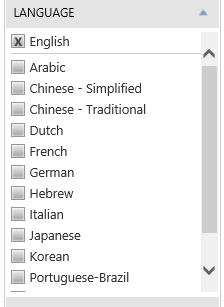 The language pack download tool at http://splanguagepacks.codeplex.com/ has been updated to support SharePoint Foundation 2013. 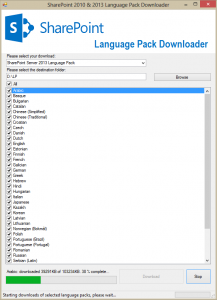 The language pack download tool at http://splanguagepacks.codeplex.com/ has been updated to support the Service Pack 2 of SharePoint 2010 and SharePoint 2010 Foundation. 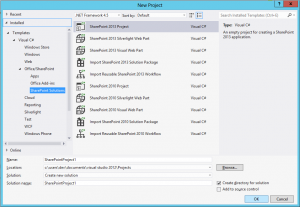 Visual Studio 2012 also offers the dual development tracks. 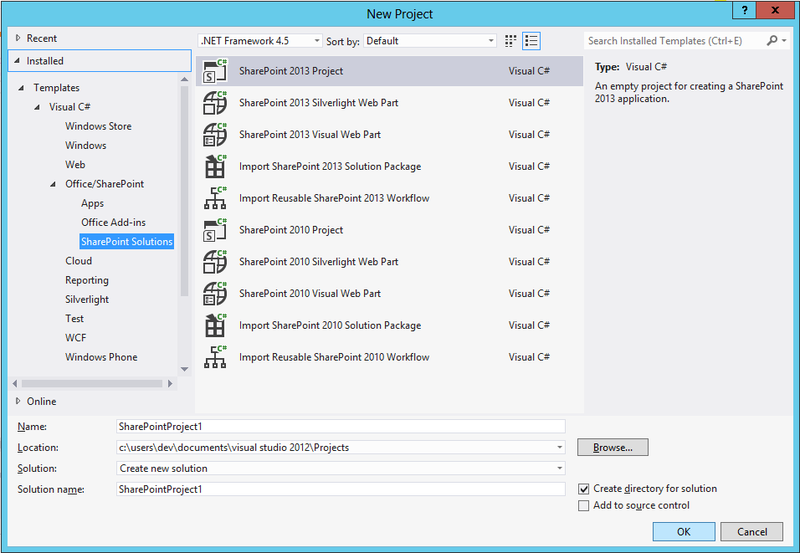 This, combined with the SharePoint 2010 Experience in SharePoint 2013 will make for a pleasant development experience.